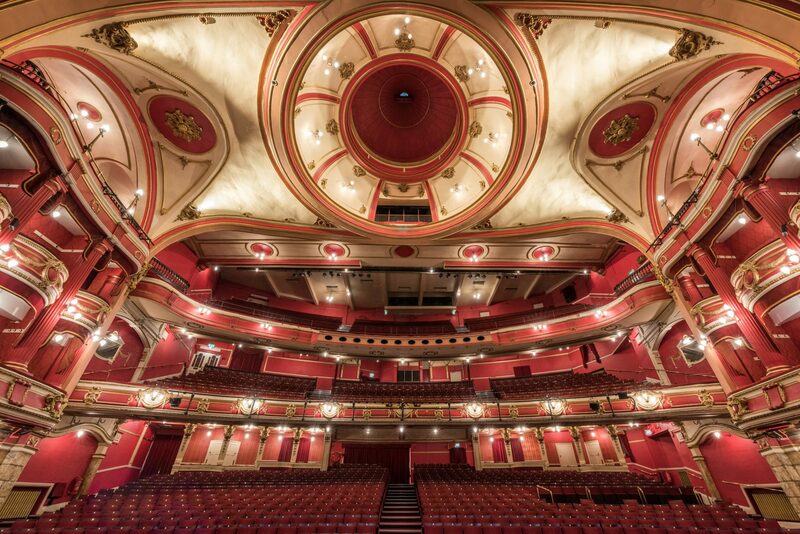 The Bristol Hippodrome were looking to replace their tungsten houselighting system with an LED alternative and Push The Button were approached to help with the design and installation. This was a special project for Push The Button managing director, Nick Ewins, who worked on the upgrade of the venues gas emergency lighting to a central battery system much earlier in his career. Push The Button, working with Peter Tovey and Brendan Gage from the venue, settled on GDS ‘Fade to Warm’ ArcLamps with an ETC Echo Control system. The project saw Push The Button install 212 ArcLamps, replace lighting fittings and install two Push The Button designed replica chandeliers. 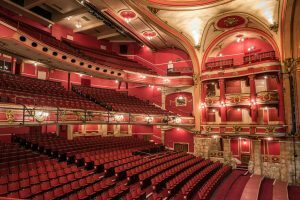 The works happened as part of a summer closure which saw the venue install new seating in the Stalls and Grand Circle, a new pit lift, new carpets and paint. The Push The Button team worked around the other contractors to achieve the project on time and on budget.